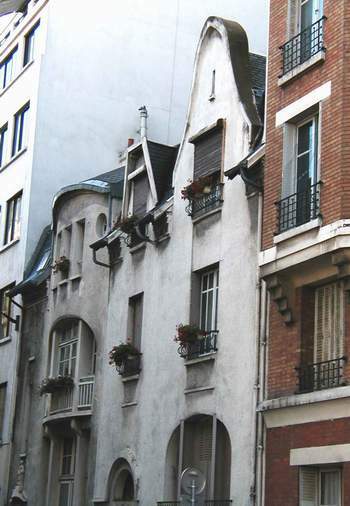 Yesterday we did a walking tour of the part of the 16th arrondissement that is between the old villages of Auteuil and Passy. 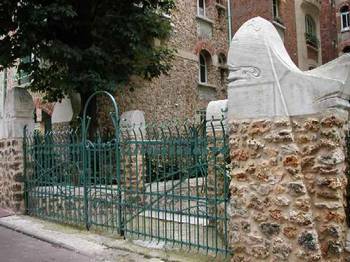 This was relatively undeveloped land in the early 19th century, so it was open for development during the era of Art Nouveau architecture. 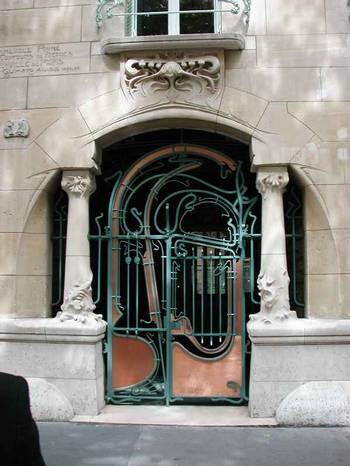 This page is dedicated to buildings designed by Emile Guimard, the father of Art Nouveau and our favorite Parisian architect. 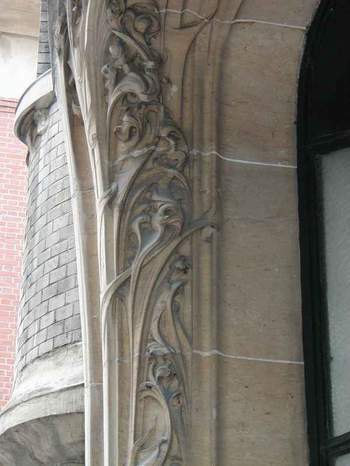 For the building pictured below (14, rue la Fontaine), Guimard received a prize for "best façade" from the city. 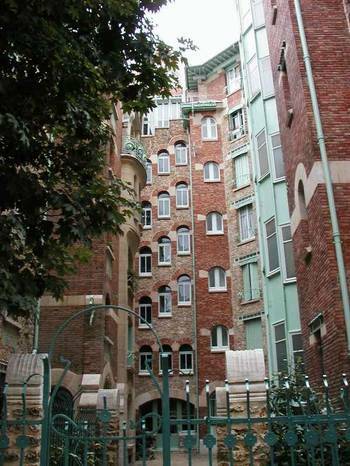 This structure was called "Castel Béranger," but Parisians who did not know what to make of the new style called it "Castel Dérangé." 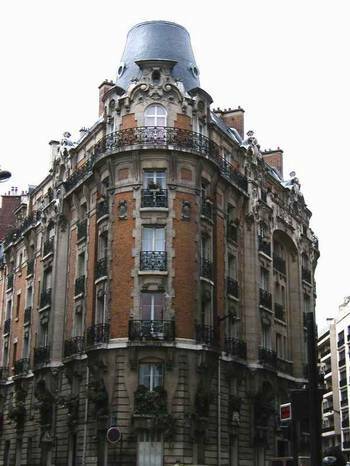 The house below (big houses are called "hôtels," but that does not mean they were hotels) was Guimard's own. 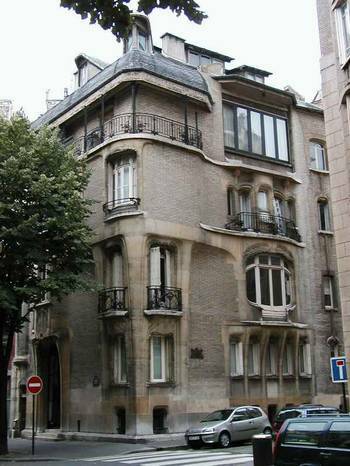 He designed it so that his wife, the American painter Adeline Oppenheim, could have her studio on the top floor, his office could be on the ground floor, and they lived on the main floor (always what we call the 2nd floor, but what they call the 1st floor). The address is 122, avenue Mozart. 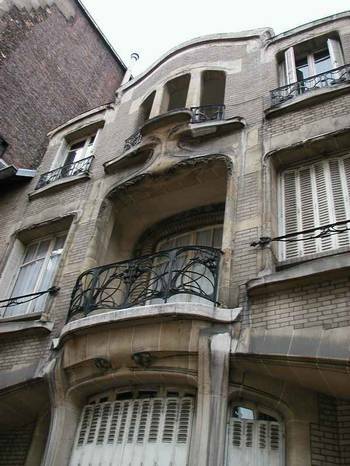 Finally, we just want to show you a couple other buildings from Guimard's time, not designed by him, but influenced by the Art Nouveau movement that he started. 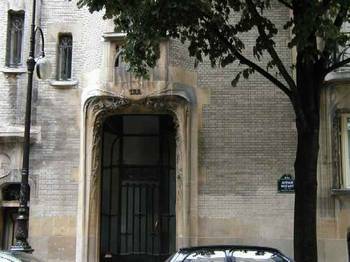 The first one is a gorgeous apartment building in the 16th, the second a more humble home in the 15th, off of avenue Emile Zola.